11th October 2016 marked the end of Samsung Galaxy Note 7 as Samsung globally announced on its own website and to the media, it is stopping sales and exchange of the Note 7 while investigation is taking place. 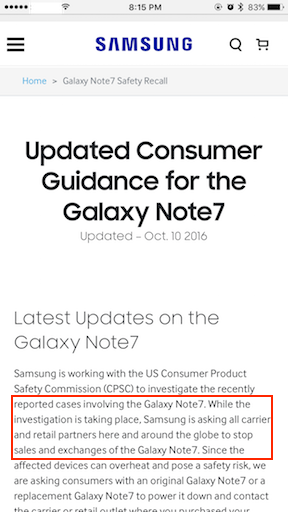 From the announcement, it seems like there is a hope that one day Samsung may continue selling the Note 7 if the investigation can prove the replacement Note7 to be safe. However ever since the news about replacement device burst into flames in Southwest flight erupted to the media and mass, customers are and will be extremely anxious about whether or not in the future the device will again burst into flames. Samsung Galaxy Note 7 released as early as 19th August 2016 in US and Australia, and today it’s production and sales are ordered to stop, that makes Note 7 only live for 53 days, less than 2 months, which probably the shortest ever lifespan of a smartphone. With the intention to outdo Apple with its iPhone launch event, Samsung successfully pushed everything: the launch date itself to be ahead of iPhone launch event, the specs with curved display, waterproof and even able to get bigger battery to fit in to the almost the same form factor as previous Note and eventually managed to sells about 2.5 millions Note 7 ahead of the last-time rumoured iPhone 7. Nothing wrong with Samsung intention. In fact it’s a good company strategy. What went wrong is that to push everything ahead of its competitor, Samsung, might not performing enough stressed test (my guessing) with their Note 7 before release it to public. That’s why this Note 7 exploding incidents happening. With the original Note 7 has the high potential of ‘exploding’ issue, Samsung made a recall and promised to come with a ‘safe’ replacement version, but again, as we all know, the ‘safe’ replacement version still carries (under investigation at the moment) the same issue as the original. And for the second time Samsung made a global recall and notice to all of its Note 7 users to stop using their device and this time to return both original version and replacement version back to Samsung. From my view and probably the rest of the world, it seems Samsung didn’t really know what is wrong with Note 7 and was not doing enough stressed test on the replacement devices before they started to market and hand over the replacement devices. Analysts and media came out with estimates of US$17 billion lost for Samsung with Note 7 disasters and stopping production. Now with everything that has happened, it will be tough for Samsung to sell phones with Galaxy Note brand in the future. In fact, all these incidents might have hurt the other Samsung phones as well, especially its direct sibling, the Galaxy S7. The decision to skip number 6 from 5 and direct to 7 for Note 7 now seems to be a wrong decision. If only Samsung came out with Note 6 and not Note 7, the Galaxy S7 might not hurt so bad because I bet for casual consumers, they might not be able to really differentiate S7 with Note 7, they might only know the difference when they walk in to store to commit the purchase. So we’ll see sometime next year whether or not Samsung will then release Galaxy Note 8. For the time being, Samsung will likely face difficulties with their flagship smartphone business as most people might try to avoid buying Samsung flagship smartphone, at least until media/communities shout they are safe to use. Samsung should make sure the same incidents won’t appear on its next generation phones, otherwise it’s a game over for Samsung Smartphone business. Lucky for Samsung, its businesses are not just selling smartphones, there are a lot of other consumer related items being sold by the company: TV, Refrigerator, and many more. So even though Samsung needs to cut its 2016 earning forecast by a third, Samsung future is still bright. Innovation is a must, however safety should still be the first thing when releasing something for public use and consumption. Rushing and poorly doing stressed testing just to be early in the game is total mistakes everyone should avoid, especially if that ‘something’ can hurt people physically. 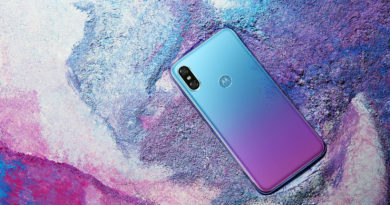 Apple, for example, was late to join the smartphone race, but when they entered, until today they still lead with the highest sales per device. Do it right, make it right. ← Google Pixel – Made by Google: Are you getting one? I blog quite often and I really appreciate your content. Your article has truly peaked my interest. I will bookmark your blog and keep checking for new information about once per week. I opted in for your Feed too.